Dr. Higham was born and raised in the Idaho Falls area, graduating from Shelley High School in 1996. He received his bachelor’s degree from Idaho State in 2003. He and his wife then moved to Seattle to attend the University of Washington School of Dentistry, graduating in 2007. 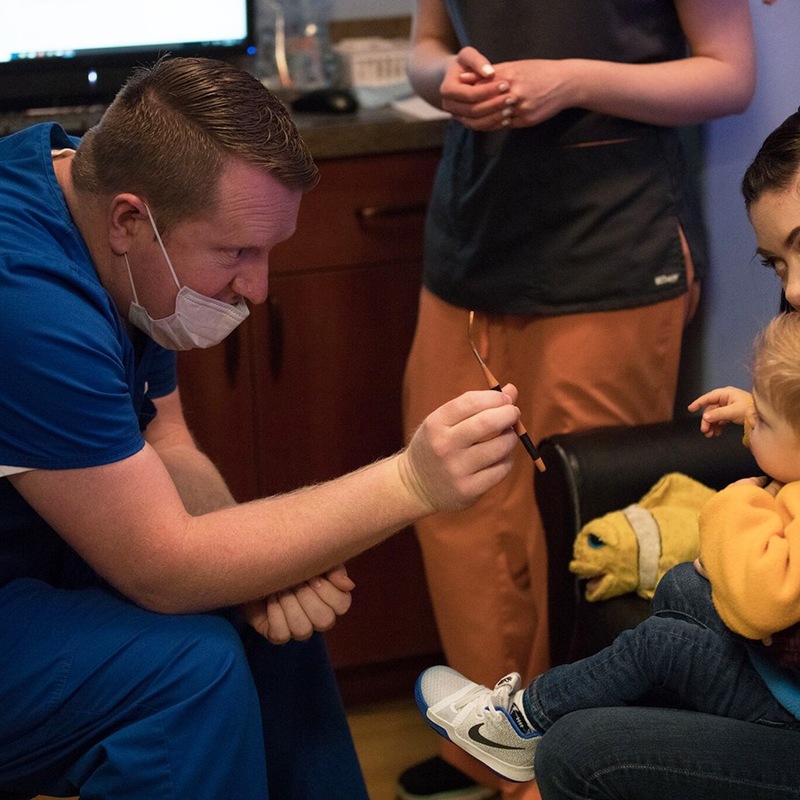 After graduation from dental school, he moved his family across the country to Rochester, New York, to pursue specialty training in pediatric dentistry at the University of Rochester/Eastman Institute for Oral Health. After two years in New York, Dr. Higham completed his specialty training and moved back to open his own pediatric dental office in Idaho Falls. He is a member of the American Dental Association, American Academy of Pediatric Dentistry, and the Academy for Sports Dentistry. Dr. Higham has been married for over 14 years and loves spending time with his wife and children. When he is not in the office, Dr. Higham enjoys golfing, attending sporting events, traveling, and spending time with his family. He and his wife are excited to be back in Idaho Falls and look forward to raising their children in the same friendly environment they experienced growing up.